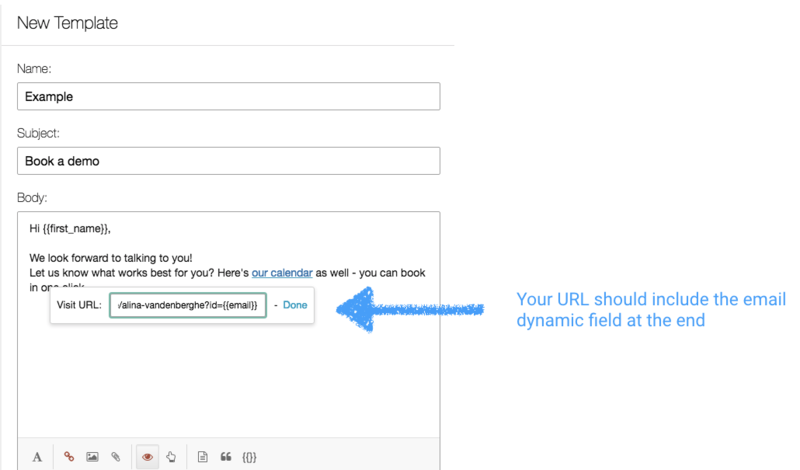 With Outreach’s dynamic fields + Chili Piper calendar links, you can allow your prospects to book a meeting in ONE click. We are seeing 5x increases in conversion with this kind of smart calendar URLs. 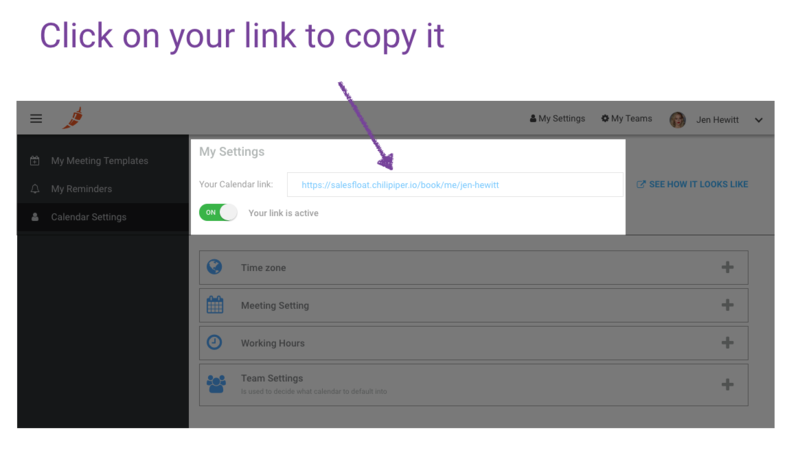 Copy your personal booking link from settings. When you send it to your prospects, Outreach will automatically replace the email ID with the prospect ID and our prospects will be able to book in one click.